Shelley, I just sent you an email per your request. I'm currently not printing my items and mailing them. I do set them up in pdf files with detailed instructions for how to make and email them to clients so that they can print as many as they would like at home or a print shop. Hi...can you email me prices and info? May not need all the things in the pic...thanks! Lance, I just sent you product information. 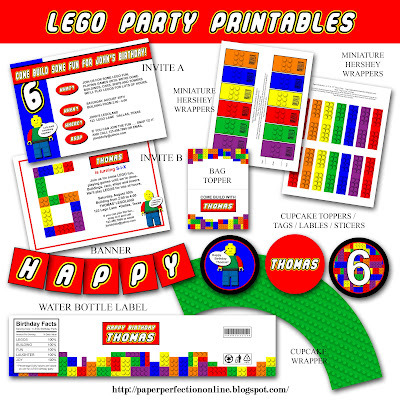 Tess, I would love to send you the party printable information but you did not leave an email to send it to. My email address is towards the top of the blog if you would like to send me a message, I would be happy to send you the lego party printables information. LJz mom, I just sent you information about the collection. T-Lo, I just sent you information on the printables. If you need information about the collection please send me a request to the email in the post. Thanks so much! 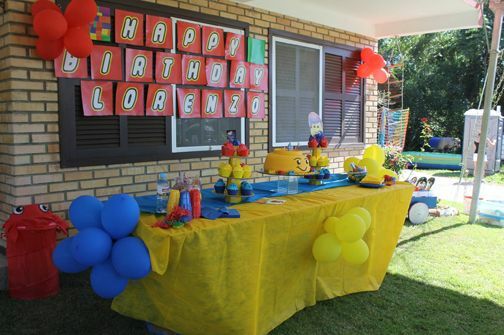 If you are interested in the party printables please send me an email for a more prompt reply. I only check my posts a couple of times a month. Hi can you send me info.about this lego collection please my email is anlly.mejia@gmail.com thank you.. If you are interested in pricing please send me an email to the address listed at the top of the post as I only check comments once every week or two. I do not receive notifications of new comments.